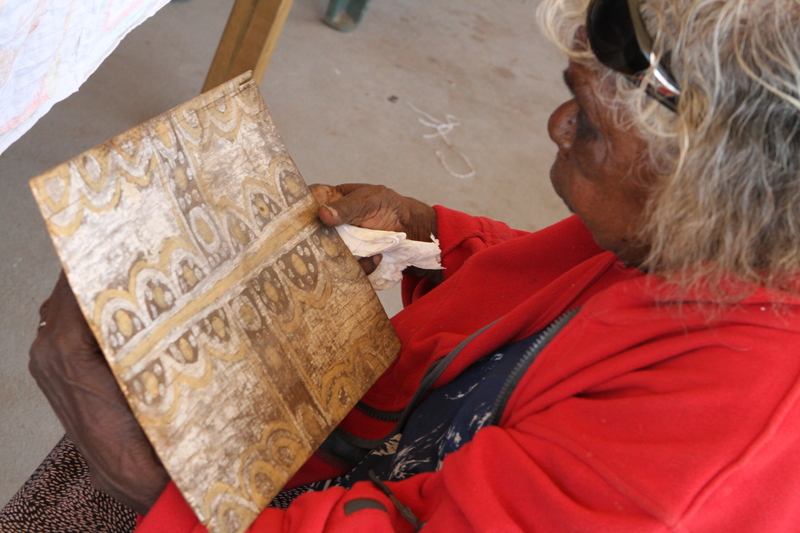 The Warmun Community Collection (WCC) comprises over 300 items including paintings in ochre on hardboard, canvas, corrugated cardboard, cement board, tin, and plywood as well as woodcarvings and many smaller items. It includes a uniquely broad representation of early paintings and wood sculpture by leading first generation Warmun artists, whose work is collected by Australian National and State Museums and in major international collections. Today, the Collection continues to play a vital role in the inter-generational sharing and the continuation of the intellectual, artistic and spiritual legacy of the seminal figures who created it. Objects that make up the collection are powerful vessels for endangered traditional knowledge systems pertaining to Gija language, kinship, law and spiritual practice, ecological knowledge, oral and social history, creative production and performance. The 2006 Significance Assessment quotes community member Shirley Bray as saying “Those paintings have good memories and it is good to hang them up where the younger generation can see them. 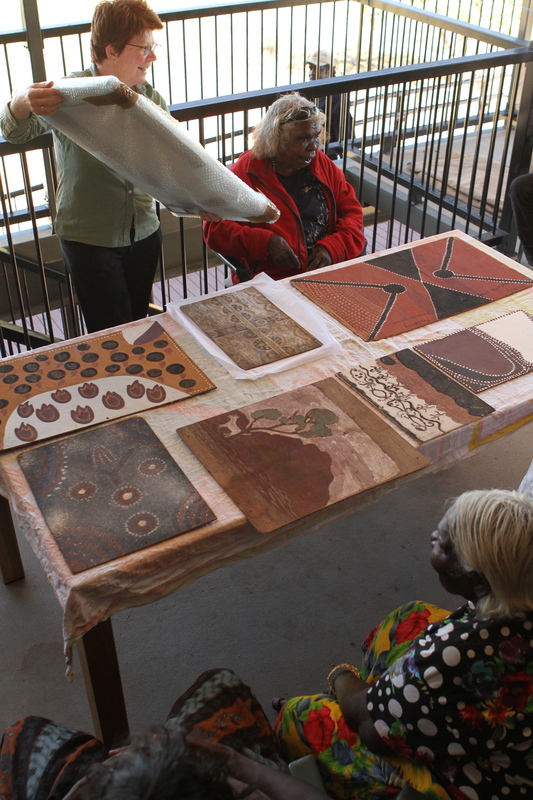 These paintings were donated to the school for the children of future generations, so they could be taught their culture”.